What if we really worked 9 to 5? This April, a dazzling meme captured the viral hivemind of an overstressed generation: French workers had adopted a new labor policy to ban work-related e-mail after 6 pm. In a half-jeering, half-envious tone, commentators trumpeted France’s hard-line defense of living well. You could almost hear the Champagne glasses clinking as Vuitton-clad employees powered down their mobiles in lockstep and flipped off the supervisor. But in reality, France’s off-clock life remains essentially unchanged. This was not a law, but something known as a “labor agreement.” On behalf of a group of organized professional employees, the CFDT and CGC unions engaged employers’ associations via collective bargaining and agreed to an “obligation to disconnect from remote communications tools” outside normal working hours, which professionals measure by days worked annually (no set hours, much less a post-6 pm ban). The grossly inaccurate media portrayal echoed a time-honored tradition of deriding the French as effete snobs on the one hand, and retrograde European welfare spongers on the other. The trope of the atrophied welfare state has long played opposite the can-do vigor of American-style capitalism. 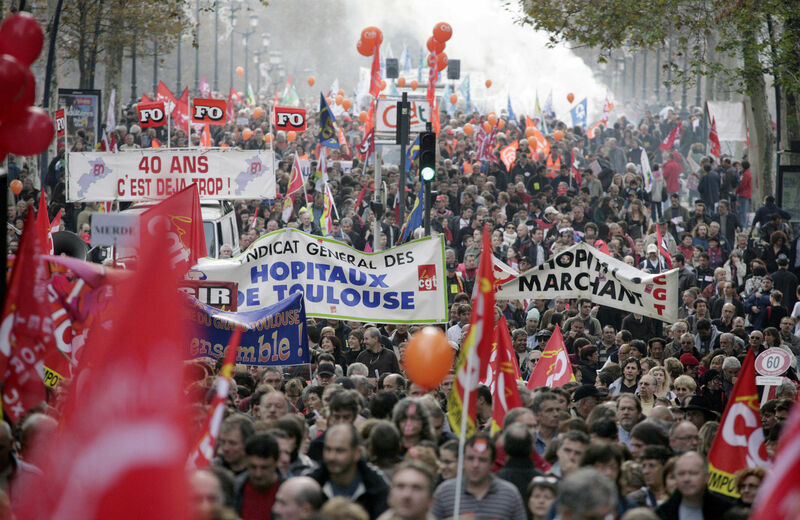 Commentators tend to fixate on France’s robust labor protections—such as its religiously observed Sunday work holiday—as if they were bizarre medieval rites (conservatives deploy terms like “dangerously uncompetitive”). And yet this emphasis on la belle vie has not stopped the OECD from ranking France among the most “productive” countries in terms of GDP per hours worked. Bottom line: workers on both sides of the Atlantic recognize the finer things in life, but only one society is still bold enough to demand a little civilité as policy, not just a perk.